Well tomorrow marks the day I will grab the day’s paper, put on a dark colored bikini and smile for the camera!! I’m going to register for MusclePharm’s 12 week transformation challenge tomorrow and then the count down is 85 days, so June 3rd marks the end. I’ve add two new supplements to my diet. One being Amino Energy by Optimum Nutrition. I took two servings before spin today (20 minutes before) and I was jacked up about 10 minutes in. I think the caffeine really got to me, so I’ll back down to 1 serving tomorrow but I think it will help during my weekday workouts at 4:30 am and then spin at 5:45. I got grape flavored and it tastes really good…but I’m weird and like the taste of grape medicine and this is exactly what it tastes like. Today I took a high intensity 60 minute spin class with my favorite instructor. I came straight home afterwards because Peter is extremely sick and my husband had an eye doctor appointment. The other is Casein by Optimum Nutrition. A slower absorbing protein that I’ll take as my bed time snack. I have a real issue with waking up 3-10+ times a night and just eating. I think this will help with me trying to break my automatic habit of just getting up and eating every time I wake up. I remember last night I got up and walked to the doorway of our bedroom and talked myself back into bed. It is a really REALLY bad habit I have. 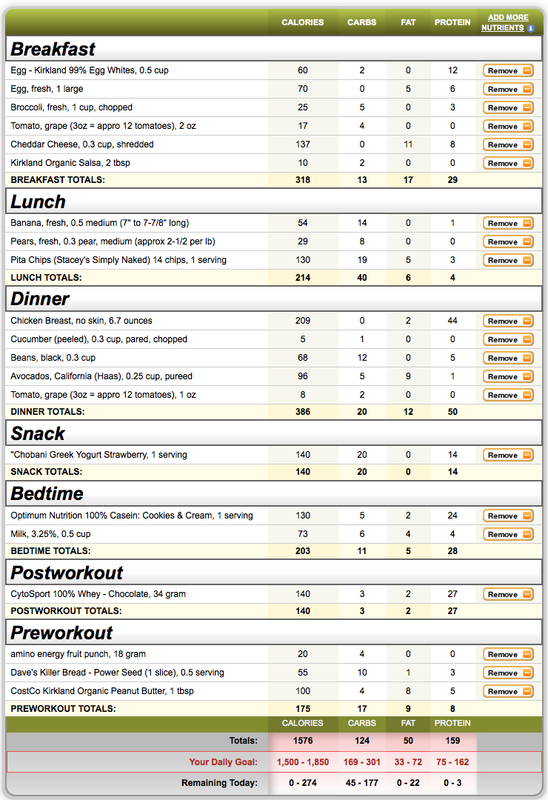 Some nights I consume the upwards of 1500 calories during my night wakings. Getting up at 4:13 am and not taking a nap has helped me literally pass out by 10 pm every night and never wake up until my alarm. Today I think I ate about 10-12 times. Every meal is always interrupted by something or my serving size is HUGE and I put it in the fridge and eat it an hour later when I’m hungry again. My breakfast today became lunch and my dinner became part of my bed time snack. So tomorrow you can look for my “Week 1” photos….if I get brave enough to post them!!! !